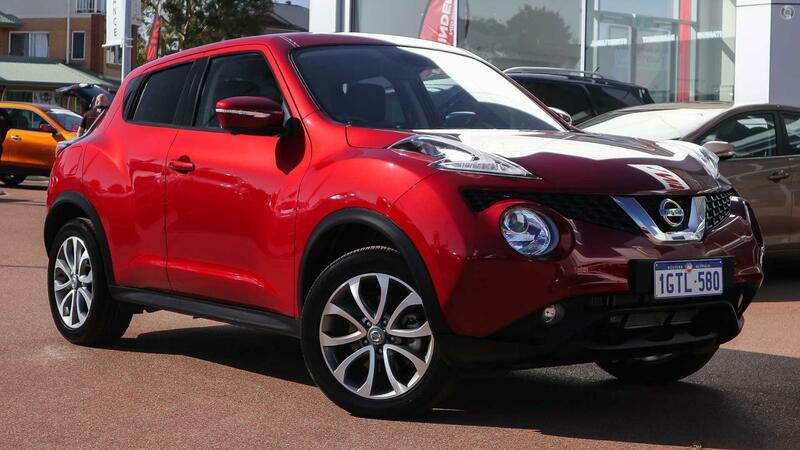 **** ANZAC DAY FLASH SALE ONLY 25/4/19 ONLY ***** WHY BUY NEW' This To p Of The Range Auto Juke Ti-S AWD Has Come Directl y From Nissan Australia!! LOOK AT THESE FEATURES!! SATELLITE NAVIGATION, 4 WAY SURROUND CAMERA VISION (BIRDSEYE VIEW), FULL LEATHER INTERIOR WITH HEATED SEATS, LOVELY ALLOY WHEELS, BLUETOOTH AUDIO STREAMING, PHONE CONNECTIVITY, PUSH TO START WITH PROXIMITY SMART KEY, AUDIO CONTROLS ON YOUR STEERING WHEEL, CLIMATE CONTROL AND MUCH MORE!! A Must See! Too far to come' We will come to you! Call for a test drive, We offer top trade in prices! Looking for finance' Quick and easy options Available. Call today to enquire. This vehicle has undertaken an extensive mechanical and condition check before being approved for stock. We offer a Complimentary 3 Year/175,000km warranty for peace of mind, With options to upgrade! Living interstate' We are the specialists at delivering vehicles interstate and can make it very easy for you.